This costbook puts thousands of current, reliable mechanical and electrical costs at your fingertips, so you can estimate quickly and accurately. All of the data is organized according to the industry standard the CSI MASTERFORMAT so you can find everything you need fast. What's more, Geographic Modifiers allow you to tailor your estimates to specific areas of the country. Every cost item has been carefully researched and updated. 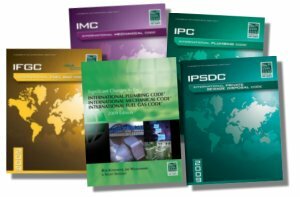 The 2012 International Fuel Gas Code® sets forth requirements that address the design and installation of fuel gas systems and gas-fired appliances, based on the most current information and technology available. The requirements are performance-driven, making this an effective tool and valuable addition to any Code library. For the most current mechanical codes that address the design and installation of the most current mechanical systems, use the 2012 International Mechanical Code®. Designed to provide comprehensive regulations for mechanical systems and equipment, it includes coverage of HVAC, exhaust systems, chimneys and vents, ducts, appliances, boilers, water heaters, refrigerators, hydronic piping, and solar systems. This valuable reference uses prescriptive- and performance- related provisions to establish minimum regulations for a variety of systems. With an emphasis on design and installation for optimum performance, the 2012 International Plumbing Code® sets forth established requirements for plumbing systems. This important reference guide includes provisions for fixtures, piping, fittings, and devices, as well as design and installation methods for water supply, sanitary drainage, and storm drainage. With an emphasis on design and installation for optimum performance, the 2009 International Plumbing Code® sets forth established requirements for plumbing systems. Sorting through a key code – whether it is the INTERNATIONAL PLUMBING, MECHANICAL OR FUEL GAS CODES® - can be a daunting task. So when a code update occurs, you may feel even more overwhelmed. Fortunately, there is a resource that will break down all three of these codes so that students can easily identify key changes and their real-world applications. This revised edition offers up-to-date instructions for installing code-approved plumbing in residential and light commercial buildings. Twenty-three chapters cover all the fundamentals of the trade: planning and sizing, installation, maintenance, common layout, materials, and code requirements for each job. It is the journeyman's and apprentice's guide to installing plumbing, piping, and fixtures in residential and light commercial buildings: how to select the right materials, lay out the job and do professional-quality plumbing work, use essential tools and materials, make repairs, maintain plumbing systems, install fixtures, and add to existing systems. 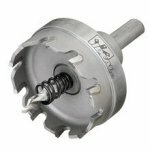 The Must-Have Tool for Large PVC Installs! 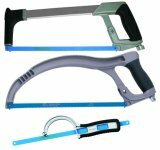 Easily ensure tight, positive connections while gluing Large PVC Conduits. Applies pressure evenly across conduit end to drive easier, and more completely into couplings. 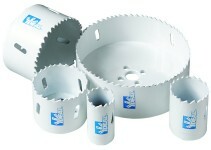 Durable, hard plastic, won't split or break. With new footage throughout, this five-part video series provides a quick and comprehensive overview of boiler operation, from how steam is generated, through boiler types and operation, feedwater, steam, combustion, draft, valves, gauges, and pumps, to how to take over a shift. Boiler Operator’s Workbook provides information on virtually all facets of steam boiler operation, maintenance, and troubleshooting. Common boiler auxiliaries and operating techniques are covered in detail, and safety and efﬁciency of operation are stressed. Boiler Operator’s Workbook is arranged in a convenient question-and-answer format speciﬁcally designed for use in preparation for obtaining a boiler operator’s license. The BTU Buddy Notebook is a collection of more than 50 unique service call scenarios conducted by an HVAC technician which describe real-life service scenarios related to troubleshooting. Many high quality images help to illustrate troubleshooting techniques and the equipment being serviced. Break into the lucrative swimming pool construction business with this practical how-to guide. Here you'll learn how to get the permits and do the surveying, planning and layout for a typical pool, including how to read a soils report. You’ll read about the excavation, backfill, soil compaction, sand and gravel bedding and drainage requirements, and mechanical systems such as pumps, heaters, filters, skimmers, and solar systems. To make certain that the HVACR service technician is properly trained in combustion analysis, renowned trainer and author Erik Rasmussen has written a new training manual titled "Combustion Analysis & Fuel Efficiency". "Combustion Analysis & Fuel Efficiency" is written with emphasis on practical application. It contains the knowledge service technicians need to be productive and effective when installing and servicing combustion appliances. The book is written at a level that most service technicians will understand. Considerable though and study has been devoted to the organization of this book, which makes it easy to follow or use in the classroom. From the Introduction Code Check Complete is a compilation of the four individual Code Check field guides to the building codes: Building, Plumbing, HVAC, and Electrical. With 80 pages of illustrated code requirements, violations, and installation concerns, the book covers everything from materials and duct construction to chimneys, vents, grease duct systems, and more. Based on the 2009 International Plumbing Code® and authored by an industry leader in contractor education, the DEWALT Plumbing Code Reference is a must-have for novice and experienced plumbers alike. With 80 pages of illustrated code requirements, violations, and installation concerns, the book covers everything from materials, water heaters, and bathrooms, to backflow, isometrics, and trenching. Based on the 2006 International Plumbing Code® and authored by an industry leader in contractor education, the DEWALT Plumbing Code Reference is a must-have for novice and experienced plumbers alike. The most comprehensive plumbing licensing book available now offers an interactive CD-ROM for more effective exam preparation than ever before. The DEWALT Plumbing Licensing Exam Guide, 2E is based on the 2006 International Plumbing Code® and the common construction management philosophy to prepare candidates for both state and county exams in every state. From test-taking strategies and exam rules, to sample exams and answer keys, the guide takes an A-Z approach to plumbing licensing concepts. When it comes to mechanicals, (HVAC, Plumbing and Electrical) "Green" means maximizing the energy efficiency of existing equipment, specifying the most efficient systems available for the application and the available budget, using renewable and sustainable fuel sources, and conserving water. Both commercial and residential owners want to be Green and reduce energy consumption. In fact, everyone wants to reduce their energy costs. HVAC Excellence and Ferris State University agreed to work together to address the gap in "Green Mechanical" education. This partnership resulted in the development of this "Green Mechanical Awareness" manual. Journeyman General Mechanical Examination is an illustrated review designed to prepare practicing A/C contractors and senior year apprentices for the Journeyman's HVAC or General Mechanical Exam. 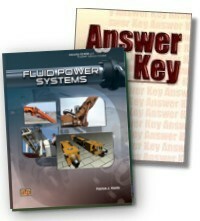 - Includes over 500 questions and answers from previous municipal and state certification tests. What to Bring to the Examination Room. Tactics Used by the Test Writers and the Strategy Used to Beat Them. Heat Pump Operation, Installation, Service is designed to provide the reader with a comprehensive overview of the heat pump system, its operations and principles. Before installing or service a heat pump system, the technician must have proper training and knowledge of air conditioning/refrigeration theory, principles and operation. With today's energy demands and costs soaring there is a tremendous need for highly efficient equipment, and trained technicians that can install, service and maintain this equipment. New heat pump systems using HFC refrigerant (R-410A) are being sold and installed. These systems pose new demands for installers and service technicians. A heat pump's efficiency can be greatly diminished, regardless of the type of refrigerant, if it is not properly installed, serviced and maintained. Low Pressure Boilers, the industry leader among boiler operation texts, has been enhanced with new coverage of personal protective equipment, burner control systems, steam principles, and emission analysis and control. This text is recommended by many licensing agencies for use as a study aid in preparing for licensing examinations. Math for the Building Trades, 2E is a text-workbook designed to help individuals learn and apply the basic math skills commonly required in the construction industry. To maximize learning, all chapters are organized into sections that contain a thorough explanation of math principles and operations as well as step-by-step procedures for solving trade-specific math problems. Construction managers must understand all aspects of a wide range of mechanical, electrical, and plumbing systems. Mechanical and Electrical Systems for Construction Managers provides an overview of these systems as required by general contractors, construction managers, and supervisors. In addition to providing a basic understanding of furnace design and operation, this in depth manual also details the significant advances made in the furnace industry. "Medium and High Efficiency Gas Furnaces" is an essential tool for those who are interested in becoming successful service technicians. From simple applications to multi-load / multi-temperature systems, learn how to use the newest and most appropriate hydronic heating methods and hardware to create system the deliver the ultimate in heating comfort, reliability, and energy efficiency. Heavily illustrated with product and installation photos, and hundreds of detailed full-color schematics, MODERN HYDRONIC HEATING, 3rd EDITION is a one-of-a-kind comprehensive reference on hydronic heating for the present and future. It transforms engineering-level design information into practical tools that can be used by technical students and heating professional alike. The NTC Grey Book is specifically designed for those studying for NICET Certification in fire sprinkler design (Water Based Fire Protection System Layout). This practical guide to planning and designing drainage, waste and vent systems will help you prepare plumbing plans for just about any project you're likely to handle: residential, commercial., private sewage disposal systems, mobile home parks - even public toilet room layouts for the physically handicapped. It covers the entire subject, from basic plumbing principles to the final drawings. 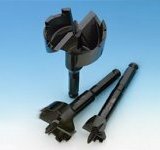 Emphasis is on designing systems that meet requirements for any of the popular plumbing codes. Everyone who plans or installs plumbing systems in communities where plumbing codes are enforced should have this practical manual. This book has hundreds of the type of questions that appear most often on plumber's exams. Each question is answered under both the Uniform Plumbing Code and the Standard Plumbing Code. Clarifications and explanations are included when the answer involves an important point you might miss. And there's no need to flip back and forth to answers in another part of the book. The answer is printed right under each question. The Approved Reference for the Plumbing Contractor's Exam in many states. Explains in simple terms how to install plumbing systems that will pass inspection - the first time. Every chapter is clearly illustrated with diagrams, charts and tables that make it easy to select the right material and install it correctly. It covers all of the plumber's trade: vents, waste piping, drainage, septic tanks, hot and cold water supply systems, wells, fire protection piping, fixtures, solar energy systems, gas piping and more. There are even chapters on mobile home and travel trailer parks and graywater recycling. Written by contractors for contractors, their employees, and first-year plumbing students, Plumbing 101, 6E delivers the practical, on-the-job information needed to meet the workforce training needs of the industry. PLUMBING 101, 6th Edition, was developed in partnership with the PHCC Educational Foundation. Part of a series, it introduces topics that are revisited in more detail in subsequent titles. With practical, hands-on knowledge of the real-world issues that face plumbing professionals, Plumbing 201, 6E presents the second installment in our four-part plumbing training series. This proven resource was developed in partnership with the PHCC Educational Foundation. Building on PLUMBING 101, it covers piping materials, sources, and distribution for potable water; water pipe sizing; cross-connection protection; water heaters; sewage disposal; drainage fixture units; building drains; and stacks. Coverage begins with basic installation practices; progresses to blueprint reading, the National Fuel Gas Code, and surveying instruments; and includes special chapters devoted to the math and science of plumbing. Coverage spans residential, commercial, industrial and institutional arenas, and includes important topics such as service and repair, blueprint reading, installation practices, heating systems, and related science and plumbing codes. This is a comprehensive text used by apprentices and plumbing students to develop basic competencies. Plumbing Design and Installation provides comprehensive coverage of the plumbing trade including the design, installation, testing, and repair of plumbing systems in residential and commercial structures. This edition features a new chapter on sustainable plumbing that highlights the plumbing practices and equipment that contribute to water and energy efficiency. Prepare for a career in the commercial or residential plumbing fields with this popular book, which has been updated to reflect the very latest advancements in the plumbing industry. Plumbing Technology: Design and Installation, 4E has also been restructured to begin with instruction on the major, introductory concepts, and then progressing to more specific, advanced lessons, allowing readers a complete and thorough understanding of the material. Newly expanded and updated to meet the needs of today's technicians, Practical Heating Technology, 2E offers comprehensive, in-depth coverage of modern heating theory, systems, and service. This book is the perfect on-site resource, providing easily accessible information on all major types of heating systems, including oil, gas, electric, and hydronic systems. Practical Problems for Heating And Cooling Technicians, 6th Edition, provides readers with the essential quantitative skills they need for success in the HVAC field. This text presents mathematical theories in concise, easy to understand segments, and reinforces each concept with multiple examples and practice problems from real-world HVAC tasks, including the latest in geothermal systems, and zone heating and cooling. Packed with more need-to-know information than any other book on the market, Residential Oil Burners, 3E provides the knowledge and skills that residential oil burner technicians will need to succeed in the industry. Now in its third edition, the book has been fully updated to incorporate the latest technological advancements, with an all-new chapter on boilers, and updated chapters on electrical equipment and oil burner controls. With coverage of the combustion process, oil burners, heating systems, as well as electrical systems and equipment, users will build a solid foundation of information that is easily transferable to work situations they may encounter in the field. Safe Boiler Operation Fundamentals: Special Engineer's Guide for the State of Minnesota is an introductory textbook on safe boiler operation. It is an Excellant Resource for preparing for the Minnesota Special Engineer License. This textbook is specifically targeted at the Special Operator's license in Minnesota, but can also be used for licensing exam preparation for introductory boiler operator's licenses in other locations. One of the most comprehensive solar hot water manuals available, this book covers everything you need to know to become a professional solar designer and installer! From system components to design, to site assessment, this book is a must have for anyone learning about or working in the Solar Industry! Developed in conjunction with the United Association of Journeymen and Apprentices of the Plumbing and Pipe Fitting Industry. The textbook covers residential solar water heating systems for domestic hot water and swimming pool applications. The textbook also covers topics such as solar fundamentals, site assessment, the installation and service of system components, startup and maintenance, and worker safety. This new edition includes a new chapter on Computerized Control, that covers common computerized control system architecture, programming, and applications in commercial and industrial settings. There's no greater luxury than relaxing in your own hot tub or spa. If you'd like to take the plunge with confidence—and not get soaked—let Terry Tamminen, "poolman to the stars," show you how to do it yourself and save thousands.